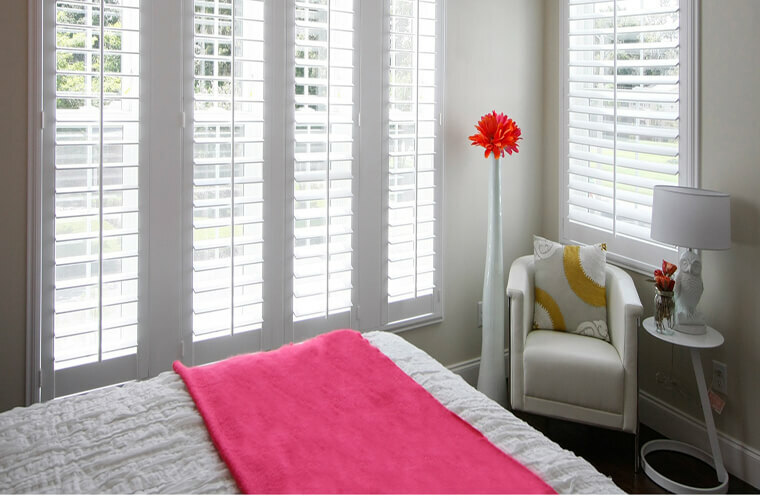 Australian Window Covering offers wide range of Plantation Shutters in Melbourne with good quality and colours. Plantation Shutters provide unique style, privacy, warmth, versatility, ventilation and increased energy efficiency. It can be designed and manufactured to fit any window and door size. Plantation shutters look great in almost any environment and control light and enhance privacy through effortless operation. It can also be installed in French doors as well as sliding doors. Mounted indoors, plantation shutters compliment both traditional and contemporary window covering styles providing a clean, finished look and an atmosphere of seclusion. 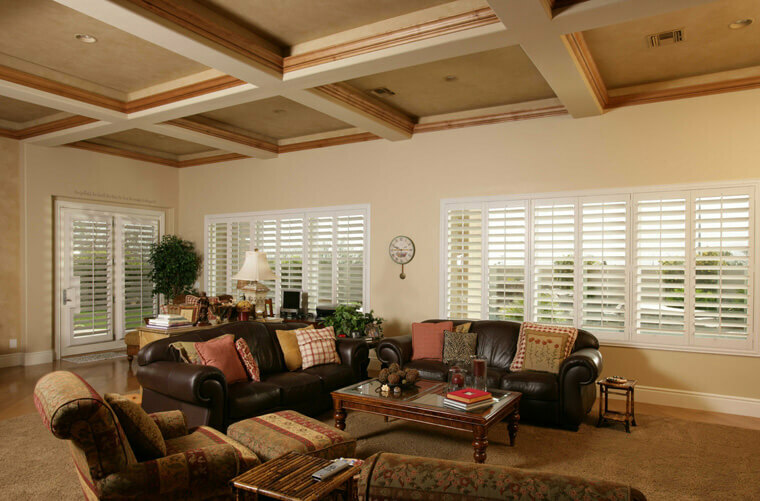 The best choice for window treatment is the plantation shutter. We, Australian Window Covering, a leading window shutters in Cranbourne West who has been supplying quality shutters at the best price. 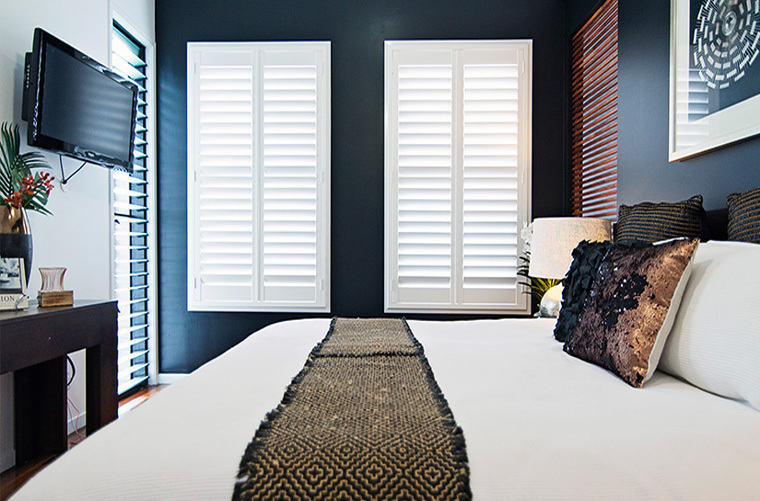 Plantation shutters Cranbourne are versatile, economical when compared to conventional draperies. Such alluring plantation shutters add value to your lovely home. The plantation shutters available in various styles and sizes in Springvale. We help you in customizing the shutters as per your need. This is absolutely securing your privacy with transmitting a controlled light. 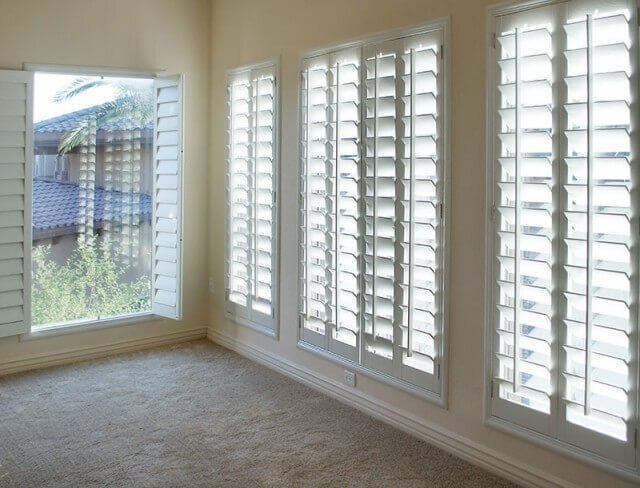 At Lynbrook, we serve unique, ventilated shutters along with high quality & colors. We offer an assortment of Eliptical sharp edge profiles in Aluminum going from 45mm to 200mm sizes (profiles constantly held in stock) 300,400,450,600 are indent. Aluminum gives a suspicion that all is well and good and solidness for either inside or outside. The ShutterGard extent is a licensed security Plantation Shutter contrasting option to terrible iron bars. see our Gallery for awesome thoughts and case to guide you through your initial outline stages. Also, recall that we make Shutters in Western Red Cedar, Hardwood, and Combo-an aluminum outline with various infill of your decision. Enquire about electronic remote control and manual remote operation. Aluminum shutters have for some time been the decision determination of business and top of the line draftsmen, for their quality and stylish nearness. Aluminum shutters presently carry these top picks into the local setting, changing homes and home living. The incomparable simplicity of support, solidness and the combination of indoor and open-air spaces are only a portion of the numerous advantages of Weatherwell aluminum shades. 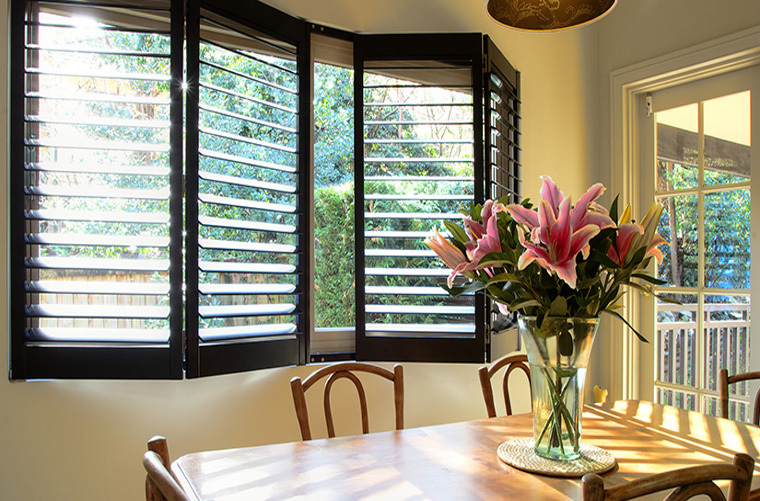 Aluminum Plantation Shutters from the house of Australian Window Covering, Carrum are resistant to weather, needs only less maintenance, and the best for outdoor use. 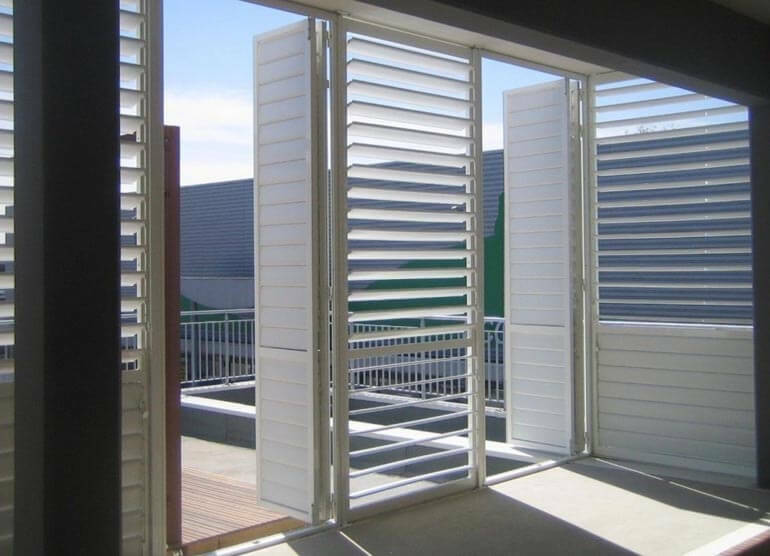 Mordialloc Aluminum shutters have been the top selection of business people and supreme architects for their strength & aesthetic. Characteristic, appreciated and intrinsically productive, High-profile shutters are produced using reasonably sourced hardwood timber and 100% of the timber species. Exceedingly prized by mortgage holders, creators and decorators alike, High-profile timber plantation shutters make quick stylish effect and change living spaces. Accessible in painted, recolored and redid choices, High-profile is the bespoke screen run for Australian living and a quality choice for all styles of home. Every piece of wood used for Highprofile Elite shutters has been responsibly harvested from family owned forests in America. These families demand that conservation is at the forefront of their harvesting practices.Wood is reusable, recyclable, and biodegradable. In comparison, non-organic materials not only require excessive energy to produce, but are non-recyclable.Wood is a renewable resource and costs the environment less compared to other products. ering UV protection and heat reflection during summer months,and will act as an insulator and chill barrier in the winter. Our Timber plantation shutters is completely made from pure timber species and hardwood timber. Timber plantation shutters escalate glamour of your residence. This is available in various themes such as classy, traditional and contemporary looks. Timber plantation shutters protects from UV rays, blocks excess heat and wind. Above all, wood is recyclable, biodegradable and reusable. Polytherm PVC is a passage level shade that gives a financially savvy PVC elective while holding the ageless look and feel of screens. They are ideal for cost cognizant customers, especially those looking for screens over blinds and other window medications. Produced in an indistinguishable industrial facility from our Highprofile ranges, Polytherm is likewise completed in quality 2-pack paint. 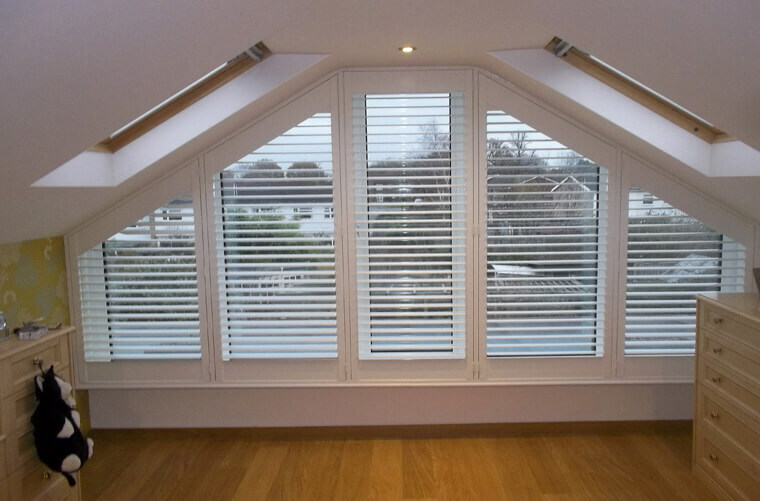 If you would like to have a cost-effective with an aesthetic look, then PVC Faux shutters is a wise choice. It provides high durability, longer life than wooden blinds even at the intense summer. It is a solid, synthetic and non-toxic. PVC Plantation Shutters have sound, insulation and damping properties. This type is more suitable for both internal and external applications. Hastings PVC Faux shutters suit in kitchen, bathroom, and patio areas. On the off chance that you are searching for shades made of timber, then basswood is considered as the most reasonable one for Plantation shutters. Basswood (or known as Tilia tree) is surely understood for the tough trunks. What's more, its inflexibility permits bigger board to be fabricated easily in one piece. It is lighter in weight, and straighter with less sap and breaks in nature, which all together forms its benefits for making shutters. Also, not normal for some other timber sorts, basswood is impervious to twisting and won't be influenced by daylight and warmth. 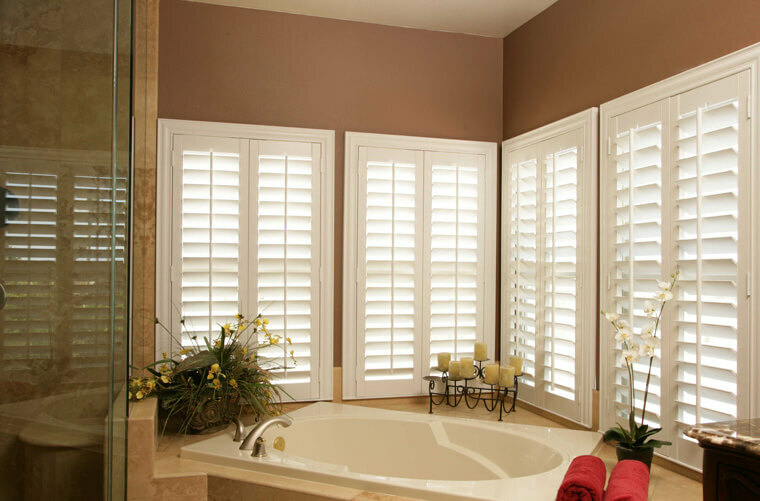 Our Basswood Shutters are made utilizing 100% furniture grade Basswood that start from a practical source. The majority of our pastes and paints are 100% non-dangerous, lead free and arsenic free. Considering all these advantages, you can pick your sought outline, size of louvers, shading and opening technique. In addition, we give you an adequate 10-year guarantee for basswood shutters, which will console you the quality and believability of Basswood Shutters. 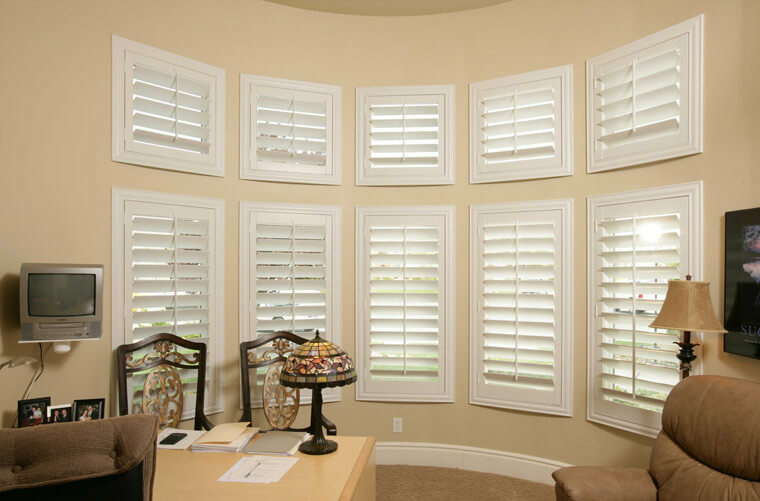 Basswood shutters is durable and not easily damaged by heat. It is quite firm, secure with a sense of quality and luxury. 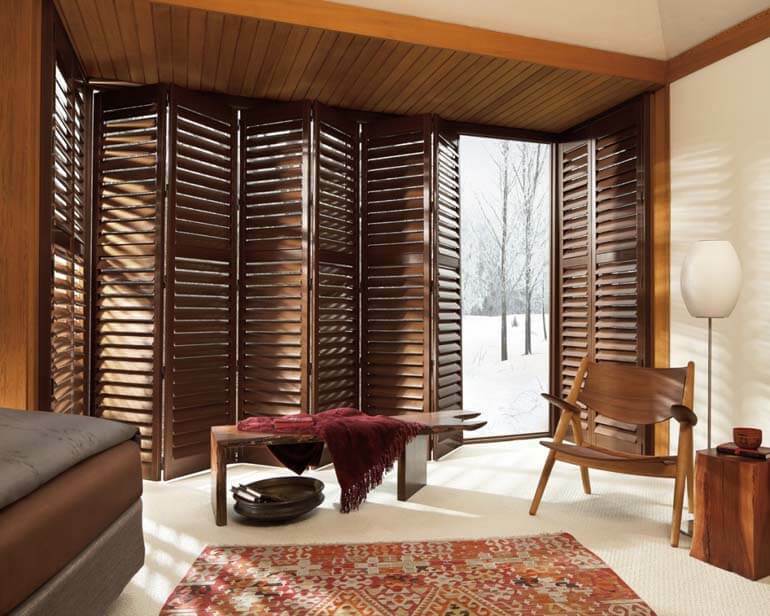 Basswood shutters can be configured to your needs as such hinge, fix or slide. As basswood grows slowly, it produces less sap which makes it easier to apply stains, primer. The majority of our paints and pastes from Dandenong are purely danger-free, arsenic and lead-free. 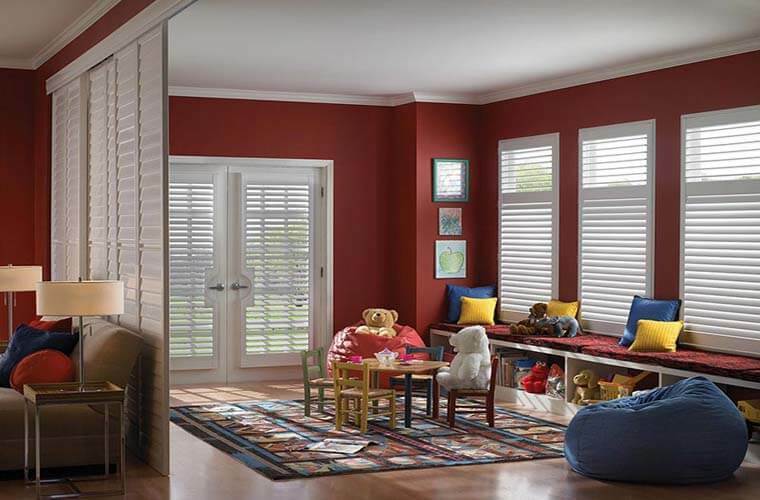 Thermoline Plantation shutters are the forefront in shades innovation today. Thermoline Plantation Shutters are made utilizing a figured mix of Poly Vinyl Chloride, fiberglass, and fortified with an interesting, Aluminum center. These materials are very tough and vitality productive, they are additionally twist verification, scratch safe, and not at all like some specific wood shutters, Thermoline shades are unequivocally prescribed and can be connected on most windows in any room. Bass offers a wide choice of shading alternatives. 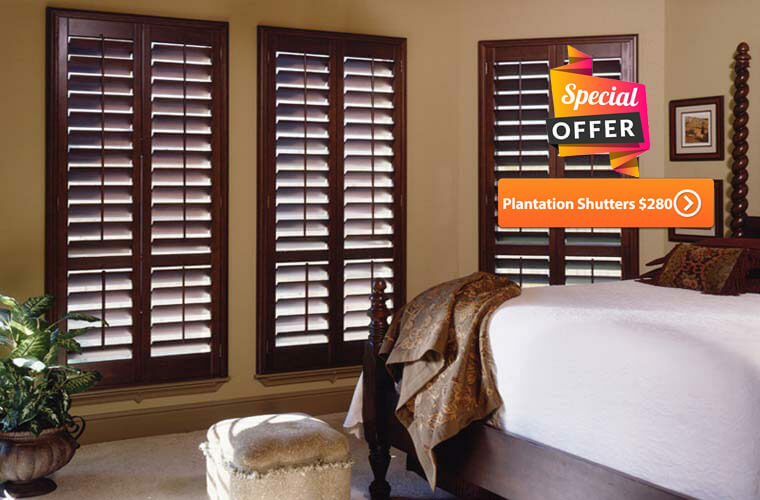 We offer a standard guarantee of 20 years for Thermoline Plantation Shutters. These shutters are made with a mix of Fiberglass, Poly Vinyl Chloride and Aluminum centre. The added materials are tough, verve, and scratch safe. Thermoline Plantation Shutters, Patterson Lakes can be set in windows of any room. 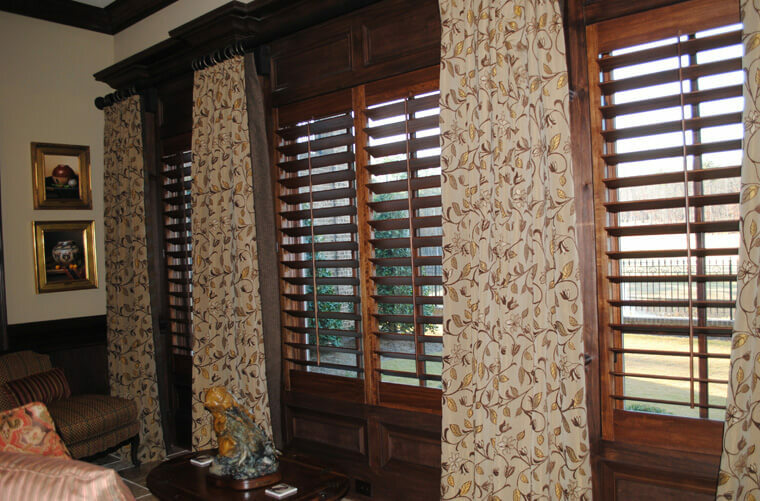 Besides, plenty of shades, we offer a long and standard guarantee of 20 years for these shutters. White Teak is a small to medium sized hardwood, that is traditionally grown in tropical climates. White Teak is the finest quality timber compared to basswood. White Teak grows in the tropical climate and is nurtured in the protected forest. It can be designed to your exact requirements and its look, finish will never disappoint the buyer. White Teak, Officer, has a low shrinkage, FSC certified, Lightweight, with extraordinary strength. Pakenham, White Teak can never be replaced by anyone except us. 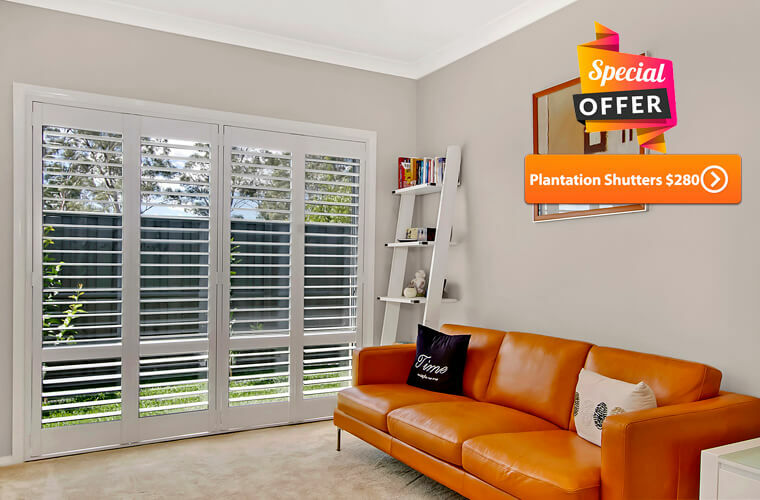 Australian Window Covering, Clyde North, an ace company who provides the best quality plantation shutters,window blinds at the competitive price. The shutters from Dromana are made for Australian weather condition. Genuine American hardwood is available in Mornington and we provide custom made shutters in all shapes. TWC is pleased to introduce our White Teak Plantation Shutter. As Basswood becomes more difficult to acquire, and more expensive, White Teak is the perfect substitute. White Teak will be available for sale for all orders placed from May 1st. You will shortly receive an email confirming your new pricing for our entire Shutter range. All current Basswood painted colours will be available in White Teak. No new swatches will be required. Stained White Teak will not be available, all stained orders will continue to be supplied in Basswood. Choosing on different kind of window coverings enable our home or office for privacy control and at the same time for the light filtering purpose, it may be choice of personal concern to select between the blinds and shutters. There is no particular reason for picking up a blind over shutter or shutter over others, no correct or wrong choice as we go with one model based on the required services. Plantation shutters offer a classic stylish look no matter how many decorations change this will never go out of date and adds value to the property. Shutters offer flexible on installation with both inside and outside of the window and the doors where lighting adjustments can be done with movements of slats. As based on one’s budget, options are available to go on with artificial or original timber materials as the first one low on cost and latter is costly but maintains grandeur rich look to the home. We offer one of the best installations and after-sale service for all the window covering treatment either blind, shutters or awnings in the following areas Hoppers Crossing, Cranbourne, Mornington Peninsula, Werribee, Craigieburn, Thomastown, Doncaster, Narre Warren, Pakenham, Frankston, Epping, Campbellfield etc, there is a name for blinds and shutters here in the name of “Australian Window Coverings”. 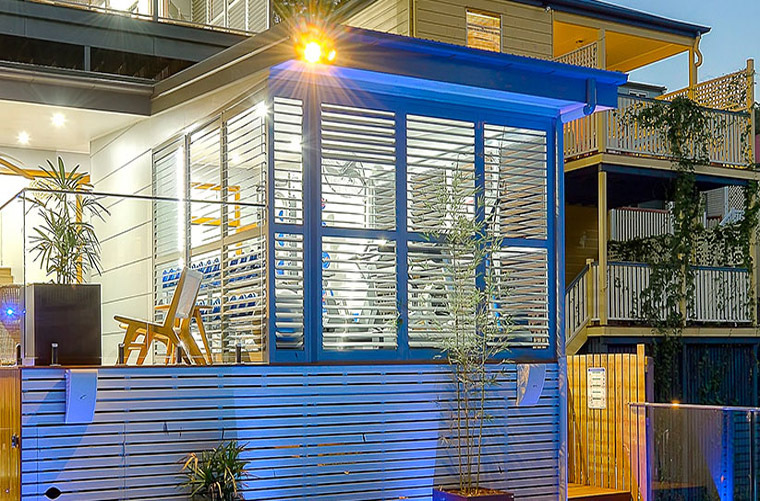 Why Choose Australian Window Covering and High profile Aluminum Shutters?? Highprofile Elite’s unsurpassed joint strength is achieved with mortise & tenon joinery which ensures maximum glue surface area, and a draw tight assembly screw. Instead of pins, the louvers are held firmly to the frame of the shutter with a tenon cut from the actual louver itself making it the strongest pivot design in the industry. Highprofile Elite has an aluminum insert embedded in the tilt rod linking to deep-set stainless steel louver staples. This gives a stronger rod-louver connection than the regular individual staple-to-staple design. Perfection starts with a trained eye carefully selecting the most perfect pieces of wood, with even grains and luxurious texture. The wood is then double checked with a computer scan for any irregularities. The lumbar is seasoned over a 2-3 month period with open air and kiln drying techniques. Then each raw wood board is cut into strips rotated 90 degrees and glued back together, similar to the process used to make super strong laminated beams. This is why Elite is considered the strongest wood shutter in the world. I would like to thanks to Viv of AWC for his advice on the blinds for my new house. I did not see some of the blinds this people got, excellent customer service, I will definitely be recommending you to my friend.